Crane Creek Regional Park in Rohnert Park, California. May is “Outdoors Month” in Sonoma County, and the perfect time to celebrate the county’s magnificence of wildflowers. No matter where you go—driving along the long Pacific Ocean coastline, hiking mountain trails, bicycling through vineyard-laden valleys, or meandering through a forest—you’ll be surrounded by the blooms of nature. Sonoma County is always an outdoor adventurer’s paradise, but May is really something special. May 4 (Saturday): The Armstrong Redwoods/Austin Creek Run. Begins and ends in Armstrong Redwoods State Natural Reserve in Guerneville. 10K, 26K, 36K, and 50K runs. 8 a.m.
May 4 (Saturday): Sonoma County Human Race. These annual 3K and 10K races held in Santa Rosa’s Howarth and Spring Lake Parks are all about fun. 8 a.m.
May 4 (Saturday): IPA 10K and Beer Mile Invitational. Who says you can’t celebrate beer and running at the same time? Starting from Sebastopol’s Barlow, runners take a 6.2-mile loop through town. Beer tasting comes later. Race starts 8 a.m.
May 11 (Saturday): Ironman Santa Rosa 2019. Even if you don’t participate in this world-famous triathlon, plan on being at the finish line festivities to celebrate with music, food and more. May 19 (Sunday): Windsor Run & Wine Half Marathon. Offering 5K, 10K and 13.1K runs, this event starts and finishes at Windsor Town Green, with a post-race festival offering music, food trucks, wine and beer. 7:30 a.m.
Do you have what it takes to build a boat in 3 hours with 4 people and no power tools and then race it on a course in the bay in front of 1000 spectators? Materials provided. We want YOU to register for this fun event. Adult and youth teams. More info at http://woodenboatchallenge.org ONE OF THE TOP ATTRACTIONS AT THE 46th ANNUAL BODEGA BAY FISHERMANS FESTIVAL. MAY4-5th 2019 at Westside Park in Bodega Bay. The popular Bodega Bay Fisherman’s Festival is a great excuse to visit Sonoma County’s beautiful coastline. Held at Westside Regional Park, the festival features food trucks, wine and beer, live music, a kids’ zone, pet parade, craft booths and a whole lot more. Yes, seafood lovers—expect lots of local barbecued oysters, fish ‘n chips, and clam chowder. There’s also a wooden boat challenge (teams build a vessel), and a blessing of the fleet on Sunday. Adults $12 during pre-sale; $14 at the gate. Seniors $12 pre-sale and at the gate. Kids 11 and younger are free. Free parking. 10 a.m.-5 p.m.
Head out for a leisurely walk with other friendly, older adults at Cloverdale River Park, which runs along the Russian River. You’ll explore plant and animal life, swap stories, and enjoy a gentle 2-mile stroll along lovely and accessible trails (all abilities are welcome). Bring a potluck item to share after the walk. This event is free, but a parking fee of $7 applies (free for Regional Parks members). Contact Shelly Spriggs for more info [email protected] or 707-539-2865. Start your guided 4-mile moderate Spring Vineyard Hike at Jordan with a continental breakfast at the Winery Chateau. From there you’ll traverse Jordan’s beautiful hills and valleys, going through woods, meadows and sustainably farmed vineyards. Highlights include the 1200-acre ranch’s sweeping panoramic view of multiple wine regions and mountain ranges; an olive oil tasting; meandering through an olive orchard and making your way around the lake and cattle pasture to reach the chef’s garden and apiary. You’ll finish on the winery terrace with a charcuterie picnic and wine tasting. Cost: $110. 9:45 a.m.-2 p.m. To learn more, contact Maribel Soto at 800-654-1213 or [email protected]. Grab your mother and head to Russian River Rose in Healdsburg’s Dry Creek Valley this Mother’s Day, where you’ll wander arm-in-arm beneath the arches of “Rose Allee” and through gorgeous fields of roses in full bloom. The nursery will be open, and all mothers will receive a special little something. 10 a.m.-5 p.m. $2 donation requested. No reservation required. Information: [email protected] or call 707-433-7455. Russian River Rose, 1685 Magnolia Drive, Healdsburg; 707-433-7455. Join the fun and festivities at the 125th annual Luther Burbank Rose Parade & Festival. One of the oldest continuously occurring events in California, it offers beautiful floats, marching groups, school bands, and a downtown festival with activities, music, food and more. Parade runs 10 a.m.-noon, and the festival goes from 9 a.m.-2:30 p.m. Download a PDF of the Parade Route. Celebrate the joys of sandcastle building and kite flying at Doran Regional Park with the entire family, at the spectacular yearly event, Castles & Kites. Amateurs and experts alike are welcome. Feel free to bring your own kite and sandcastle building tools—or purchase a kite from local vendors and use Regional Parks’ sand toys. Dress for a day at the beach (in other words, bring layers). This event is wheelchair accessible. 11 a.m.-4 p.m. Free, but $7 parking fee applies (free for Regional Parks members). More info: 707-875-3540. 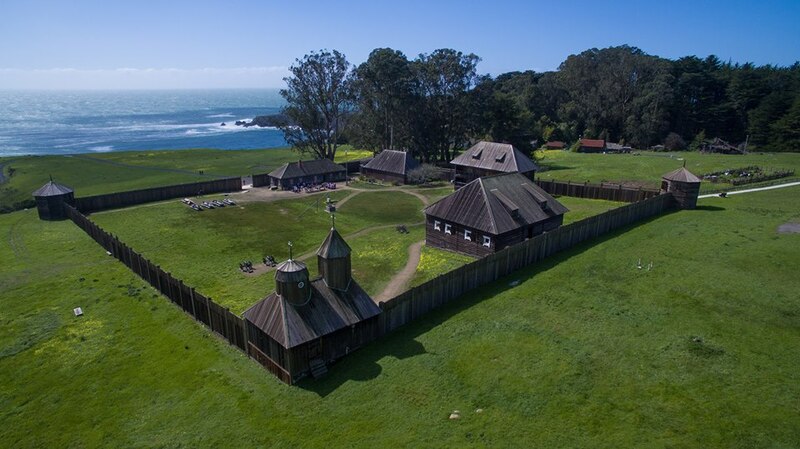 Attend the Sixth annual Alaska Native Day at Fort Ross State Historic Park to celebrate the contributions and history of the area’s Alaska Native community. This popular day-long event includes traditional dancing of the Aleutian Islands by the Anchorage Unangax Dancers, singing by Ekatherina Savvinova (Saina) of Sakha Republic performing her songs, and Haida Artist Rachel Langford leading a metal-embossing activity for guests. Also, there will be a kayak race in Sandy Cove (contact Lauren Peters at [email protected] to sign up for the race). Free admission to the event, but donations gratefully accepted. The park has an $8 park entry fee per car. More info: 707-847-3437. Join one of Regional Parks’ monthly bird walks, given at a different park on last Wednesdays. All levels of experience are welcome. This month the walk will be held at 128-acre Crane Creek Regional Park, with its rolling grasslands, lovely creek, and beautiful views. Bring your own binoculars (they’ll be available for loan if you don’t have any). For more info, contact Meagan Horeczko (707-539-2685 or [email protected]). This event is free, but a parking fee of $7 applies (free for Regional Parks members).